Aviation themed weddings and engagement photo sessions are taking flight (pun intended!) 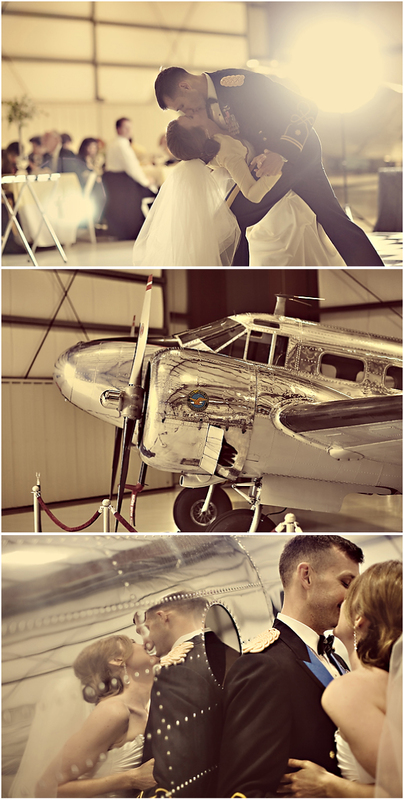 I've seen several aviation themed events in the wedding blog space in which couples have selected an airplane hanger as their reception venue -- how fun! A vintage airplane makes for a wonderfully unique photo op, too! Would you consider this theme for your own nuptials?